The Woodlands is the perfect master planned community just waiting for your arrival. Nationwide Movers is ready get you there. 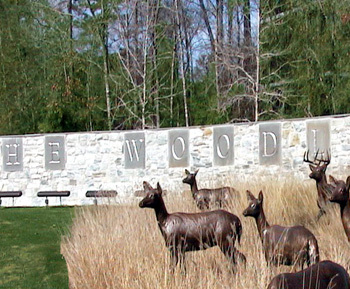 The Woodlands is located 30 miles from downtown Houston right off of I-45. It is surrounded by Spring, Conroe, Magnolia and Tomball. Calling The Woodlands home has never been a more enjoyable experience, especially when Nationwide Movers, Houston moves you into one of these fabulous subdivisions: Grogan’s Mill, Panther Creek, Cochran’s Crossing, Indian Springs, Alden Bridge, Sterling Ridge, Carlton Woods, College Park, Creekside Park, Forender’s Reserve and Waterway Loft Condominiums. Children enjoy the fabulous teachers and curriculum provided by Conroe Independent School District, while adults can take advantage of Lone Star Community College Montgomery and Lone Star College-University Center. Residents of The Woodlands have access to some of the best hospitals in Texas, such as: Memorial Hermann The Woodlands, Memorial Hermann Prevention & Recovery Center, St. Luke’s The Woodlands, St. Luke’s Lakeside Hospital and MD Anderson Regional Care Center. Nationwide Movers, Houston will expertly move all your belongings to your new Woodlands home with as much care as we would our own. The Woodlands is conveniently located just 21 miles away from George Bush Intercontinental Airport (IAH) and 40 miles away from Hobby Airport for all your travel needs. There are 115 parks in The Woodlands, including: Town Green, Rob Fleming, Windvale, Cranebrook, Terramont, Bear Branch, North Shore, Avalon and Riva Row. The Woodlands also has museums ready for your next great outing, such as: Woodlands Children’s Museum, Woodlands Science & Art Center, Woodlands Art League and Mossrock Studio & Fine Gallery. No better place exists to shop than the wonderful variety of shops The Woodlands has to offer. You are sure to find something to satisfy everyone’s taste at The Woodlands Town Center and The Woodlands Mall. Ready for some fun? The Woodlands has more events and activities than one could wish for! Not only are there several parks for tons of fun, there are also world class golf courses and country clubs. You are sure to have a blast at any one of the following: Arbor Day, Earth Day, Wildflower Festival, The Woodlands Waterway Arts Festival, The Star Spangled Salute, Red Hot & Blue Festival, The Lighting of the Doves, International Winter on the Waterway, Ice Rink at Town Center, Dragon Boat Races on Lake Woodlands, Hometown Heroes, Concerts in the Park, Trick or Treat at Panther Creek, Texas Renaissance Festival and Children’s Festival. Nationwide Movers is ready to get you there for all the action. The Woodlands is ready to welcome you home. Let Nationwide Movers help you get to the beginning of the best part of your life.